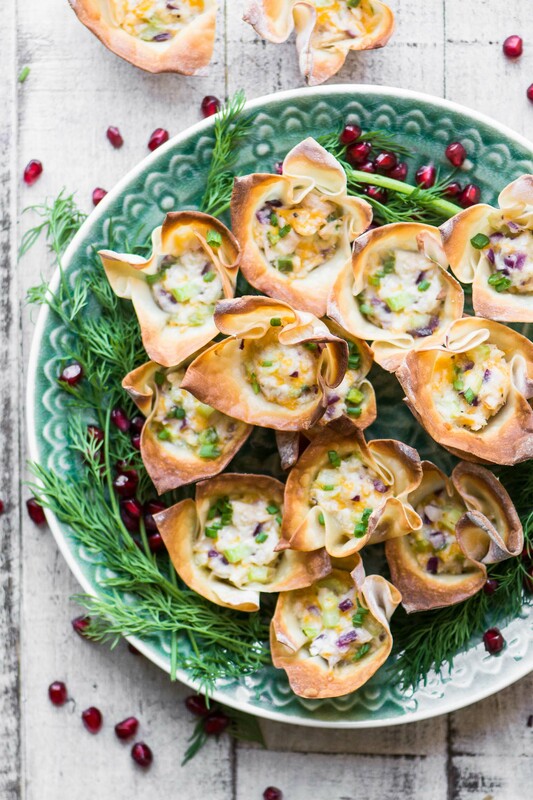 Spicy Tuna Wonton Cups are portable comfort food for easy holiday entertaining, game days, poker nights, potlucks, open houses,…wherever and whenever you’ve got hungry people to feed! 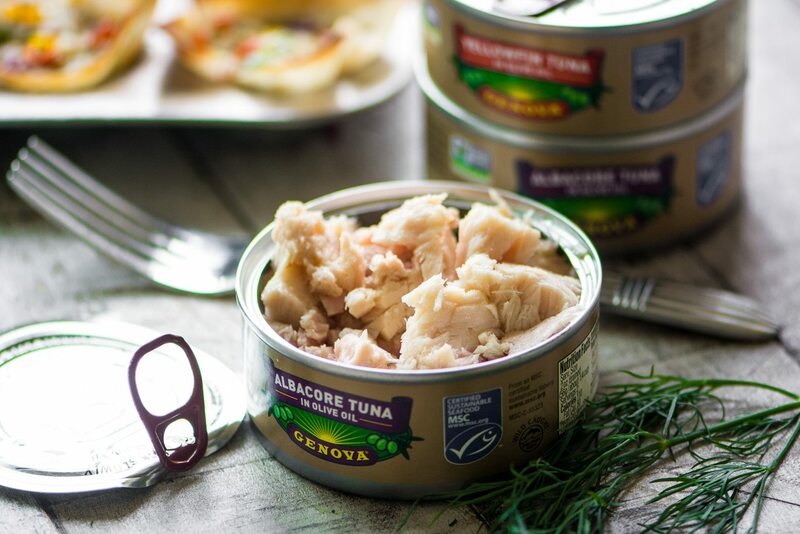 * This post is in partnership with Genova® Seafood ~ Genova is my pick for great canned tuna, and I thank you for supporting both of us as we work to bring you delicious food. They’re the latest way I’ve found to enjoy my favorite wild caught canned tuna from Genova. For this recipe I alternate between the albacore and the yellowfin because I can’t decide which I love more. They both have that rich, savory taste that Genova is famous for, without a trace of ‘canned’ flavor. Today’s wontons are stuffed with the most irresistible tuna filling ~ it’s a cross between a tuna salad and a cheesy tuna casserole. The jalapénos are optional, but add a nice kick, I might just add them to all my tuna salads from now on. 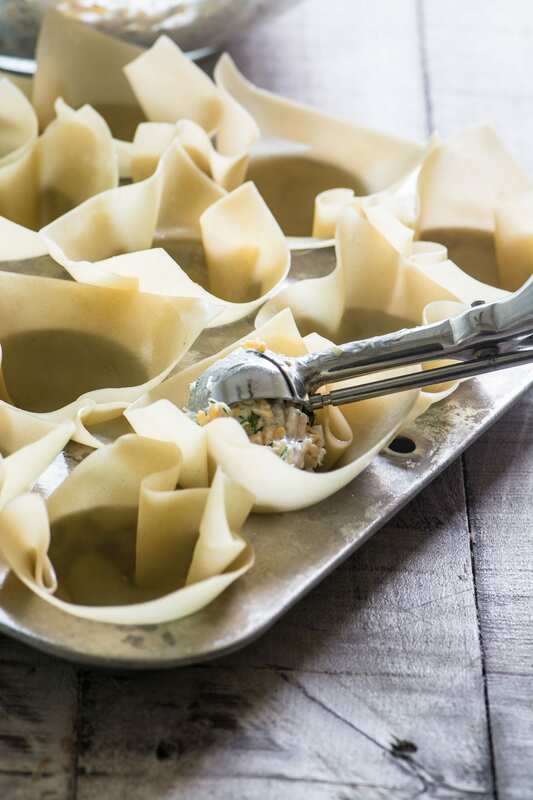 I love that the wonton shells are so light and delicate ~ the little squares of dough fit right into the cups of a mini muffin tin, just push them in with your fingers. They’ll form into cute little ruffled edged cups. TIP: You’ll find wonton wrappers in the refrigerated section of your supermarket, right near the tofu. They’re great to have on hand for everything from JAPANESE DUMPLINGS and POT STICKERS to SOUP AND SALAD. 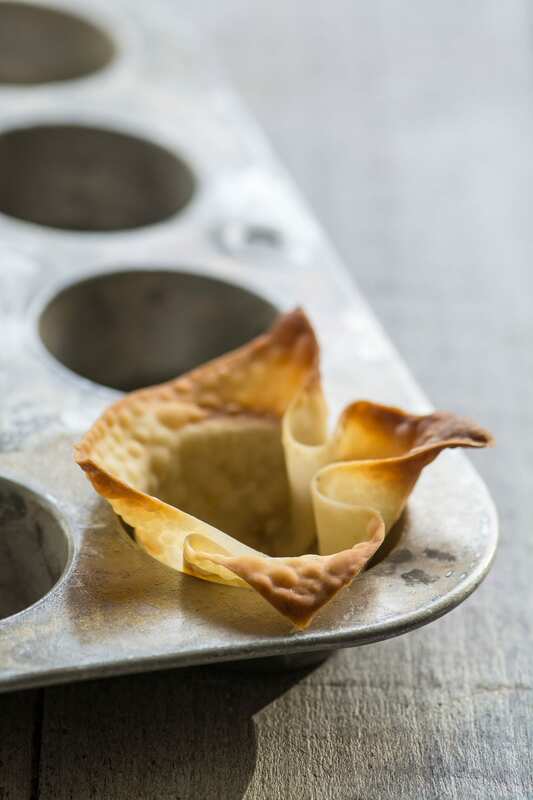 I like to mound the filling in the wonton cups because it will shrink down as it bakes. They come out of the oven nice and golden brown and crisp in just a few minutes, making them perfect for the busy entertaining season. TIP: Mix up the tuna filling ahead of time and keep in the refrigerator, then just pop the wontons into your muffin pan, fill, and bake when ready. 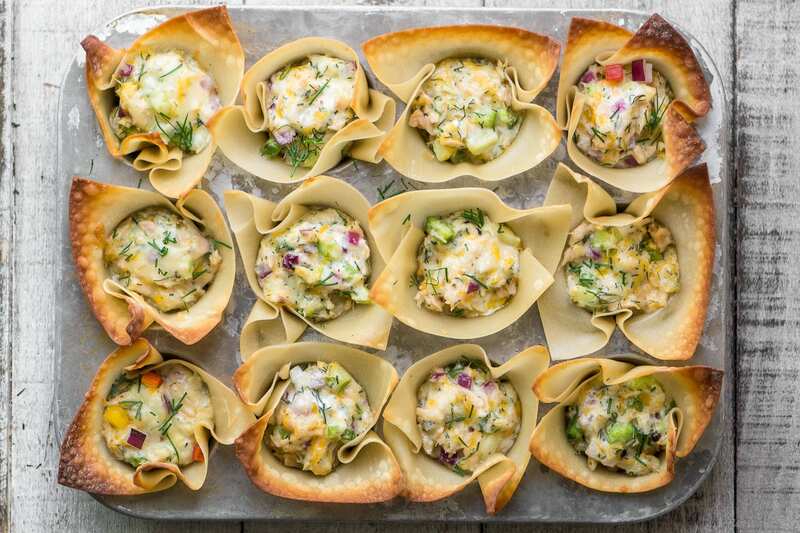 You’ll need a mini muffin tin for this spicy tuna wonton cups recipe. I prefer the minis because they bake up into bite sized cups that are easy to handle. 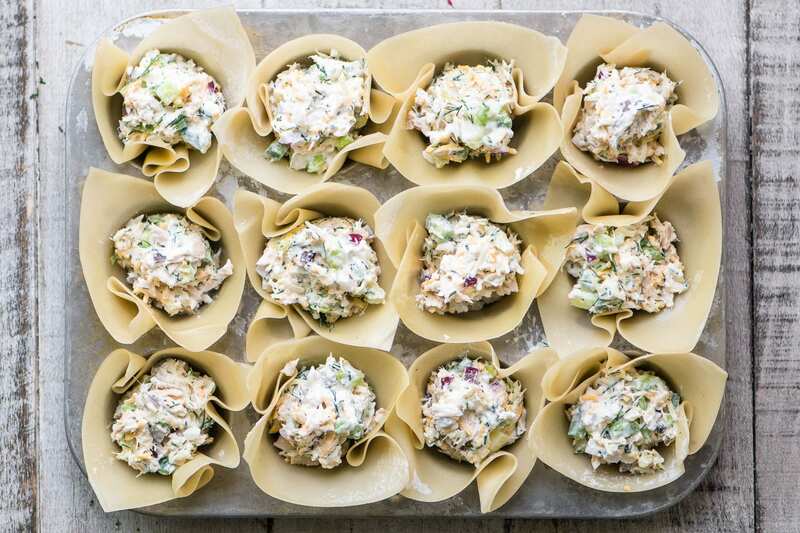 If you like you could bake the wontons separately and fill them with cold tuna salad. That would work well for spring and summer occasions like showers, brunches, Mother’s Day and Easter, etc. I like to scarf serve these straight from the oven while the tuna is hot and bubbling. They make a fantastic light meal with a glass of Chardonnay even if you don’t have party plans. packed in pure olive oil in the healthy Mediterranean tradition, the flavor is incredible. a lean protein, and high in omega 3 fatty acids, selenium, B vitamins and minerals. wild caught, and certified sustainable. You can feel good about buying and eating it. completely non GMO with no preservatives. comes in super handy pop top cans. has a special code on each can so you can trace your tuna ~ you’ll find out the species, where it was caught, what fishing method was used, and where it was canned. Pretty cool. 2 Tbsp minced fresh dill, or more if you love it. Substitute 1/2 tsp, or to taste, dried dill. 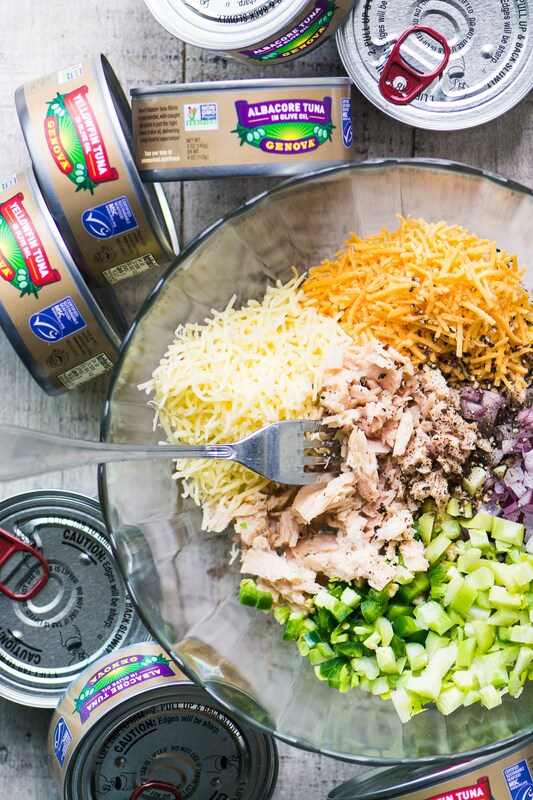 Blend all the tuna filling ingredients together in a bowl, and taste to adjust the seasonings. 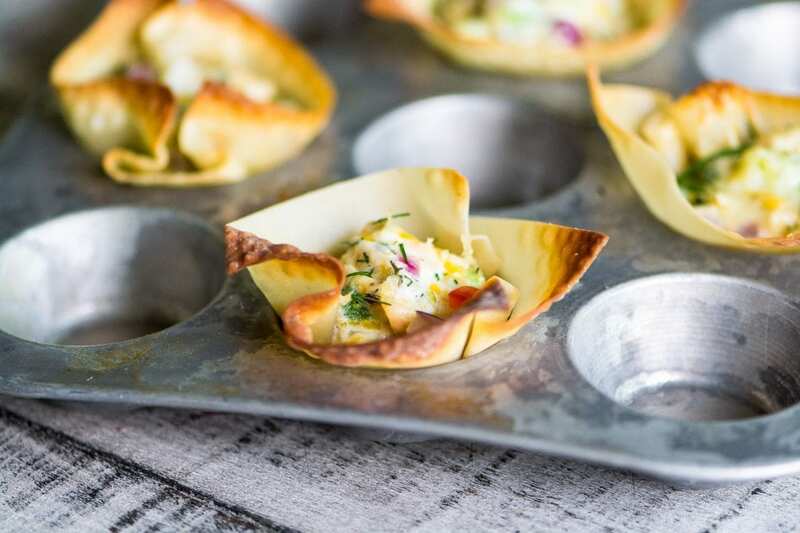 Fit the wonton wrappers into the wells of a mini muffin pan. Be sure to get the dough completely into the wells, and along the sides of the muffin cups. 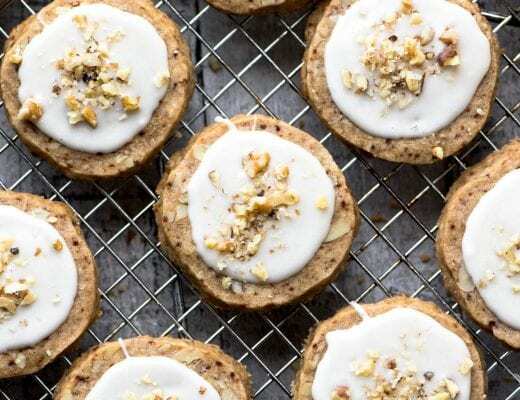 You'll need 2 pans, or you can bake the last few cups after the first 12. Fill each wonton cup with the tuna mixture, slightly mounding it up, because it will shrink down as it bakes. Lay a sheet of foil or parchment paper loosely over the pan, but don't crimp it down. Bake for 10-15 minutes, or until the wonton wrappers are golden browned and the tuna is bubbling. The exact time will depend on your pan and your oven. Don’t like dill? Try tarragon or parsley. Make these extra cheesy and sprinkle on more just before baking. Speaking of cheese, I think pepper jack cheese would work great in place of the cheddar if you’re into the heat. 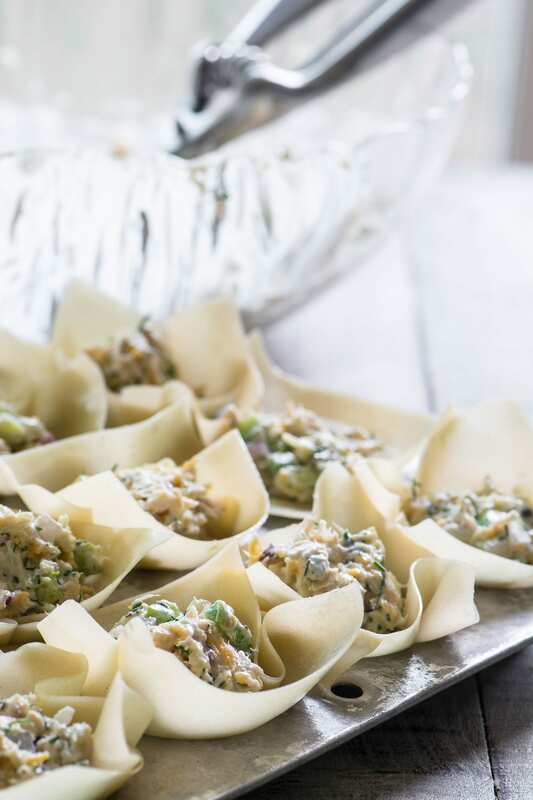 Bake the wonton cups ahead of time and fill with your favorite Genova tuna salad recipe. 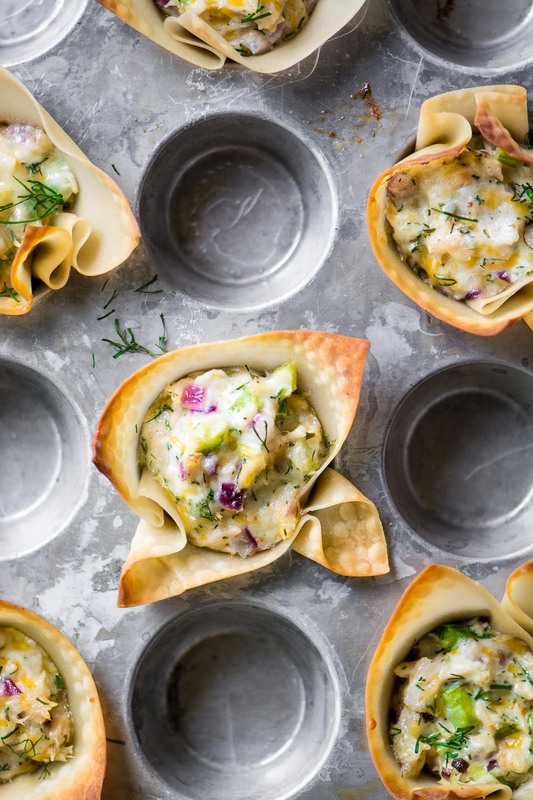 Don’t forget to pin these Spicy Tuna Wonton Cups! I cannot take pepper heat yet LOVE wasabi/horseradish heat. These were delicious! We love Genova tuna!! These look like perfect holiday bites! This is such a creative way to enjoy tuna! I could honestly make a meal of these cups! Susan, these are so creative!! I need to try that tuna!! Looks so good! Appetizers are my favorite too. That is my favorite tuna!! Yum!! Count me in — for the ones with the most tuna and jalapeños! LOVE fish, especially when it doesn’t have that “canned” flavor! And I’m always up for a good spicy kick. :) These look amazing! I LOVE Geneva tuna! These bites are so perfect for entertaining! 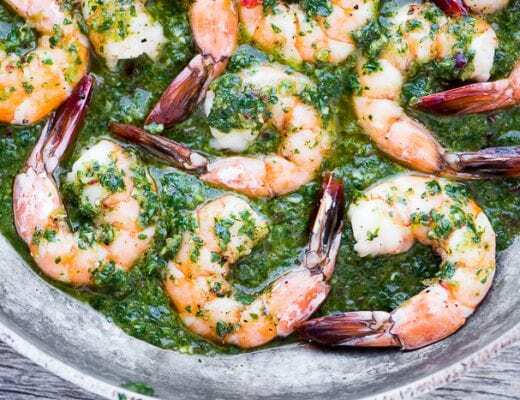 I’m always looking for more appetizer recipes, and this one looks so yummy! I’d love to make these for upcoming holiday parties. They look impressive! Whoa! Smart thinking,. What a great appetizer and I love the spicy. Hi Sue, this really presents tuna at its best as an appetizer – such a nice recipe! What could I use in place of wonton cups? Could you suggest an alternative? Thank you! Let’s see, you could use ready made or homemade phyllo dough, puff pastry, or even regular pie crust dough. The only thing would be figuring out the cooking/timing method so the cups and the filling get cooked through without burning or sogginess. These look like some awesome little appetizers. These take canned tuna to a whole new level, Catherine, they really are delish!! Genova is seriously the only tuna we’ve been buying for a while! 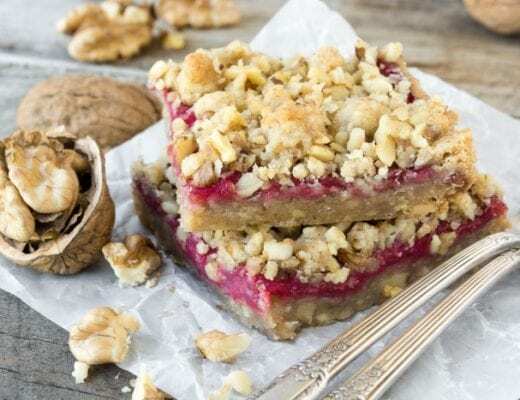 Saving this recipe to try! It’s spoiled me for all other tuna, seriously! The touch of jalapeno really makes this for me. This is a great, unique, easy holiday appetizer idea. Thanks Guy ~ I really loved the heat in these, more than I would have thought…is there anything that a jalapeño doesn’t improve? Such a fun use of wonton wrappers! Easy to prepare yet so stunning ! Those little guys are so versatile, I try to keep them around at all times. Yummy! I’m afraid these would be dinner once I took the first bite. But that wouldn’t be such a bad idea. They look amazing and I love that you used wonton wrappers. I love that you baked the tuna with the cups – a warm tuna appetizer sounds fantastic and such a nice change from cold tuna salad. These really look good, and the perfect bite for gatherings. Sharing and pinning!